Steve Nagle Mobile DJ Services -- Book Your Event Now! Welcome to SteveNagle.com. 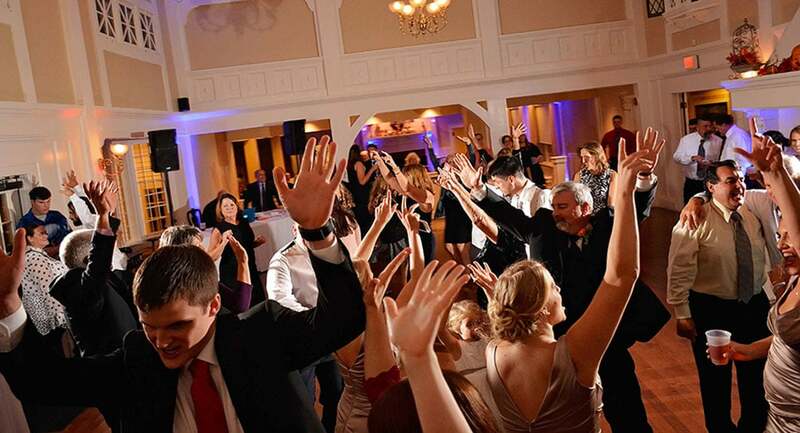 Based in Western Massachusetts, Steve Nagle Mobile DJ Service is the leader in DJ Entertainment. With a music library of over 150,000 songs, Steve awaits to set the mood for your celebration. Steve has been requested throughout Western Massachusetts and New England. SNDJS will always display a sharp and professional image at your event and can provide talent for high interaction or a low key show. Steve specializes in providing DJ entertainment for events from elegant weddings to energetic parties, emphasizing *Courtesy* *Reliability* and *Fun*. His ultimate goal is to treat every customer to the best party possible. UPLIGHTING FOR YOUR EVENT NOW AVAILABLE! Reserve your date with Steve today for the ultimate experience in DJ entertainment and party fun! 2017 dates are filling up fast! Have you used Steve for one of your events? Do you have a question about availability or one of Steve's sevices? We want to hear from you! Click the button to be taken to our Contact page and drop Steve a line.